If it isn’t raining we ain’t training! It rained off and on for the rest of the week at Systema Camp, and it was amazing. 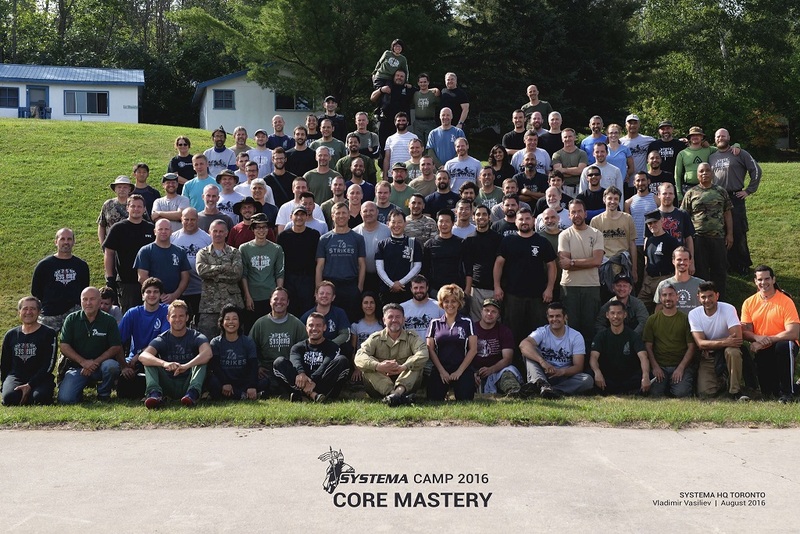 That Tuesday was the hardest day of the week, and of any day of any of the Systema camps I have gone to. It was no-stop grapple training. From standing, from the ground, in the woods, in the lake, at night, and in darkness. It was worth the trip just for that day, to do great high level work with such skilled people from all over the globe. You where either drinking trying to stay hydrated or you where out there in the rainy field training. The following day was focused on giving and receiving strikes. People where given the option to spend the day blindfolded which was a very interesting expertise. Once someone got used to being blindfolded, all of the visual ques went away. No shoulder raising on their strikes and no shuffling with their steps. It gave you a great experience and understanding in seeing just how much you rely on your eyes on telling you what your partner is going to do, and how they are going to do it. Definitely going to do more blindfold work here at our school. Thursday we spent working with weapons, sticks and knives. This is always fun to do because we usually end up spending half the day in the woods fighting around and using trees. Friday was spent more on multiple attackers and mass attacks, we partied that night and went home the next day. I know it might seem that I don’t have much to say about this camp, but I think it might be my favorite of the three I have gone to. Everyone there was well rounded and skilled, and always eager to help and improve one another. It was a excellent non-stop training in a such a varied group of environments. Rain and shine, woods and fields, open spaces and lakes, and everything in between with very little downtime. It really was a excellent camp.